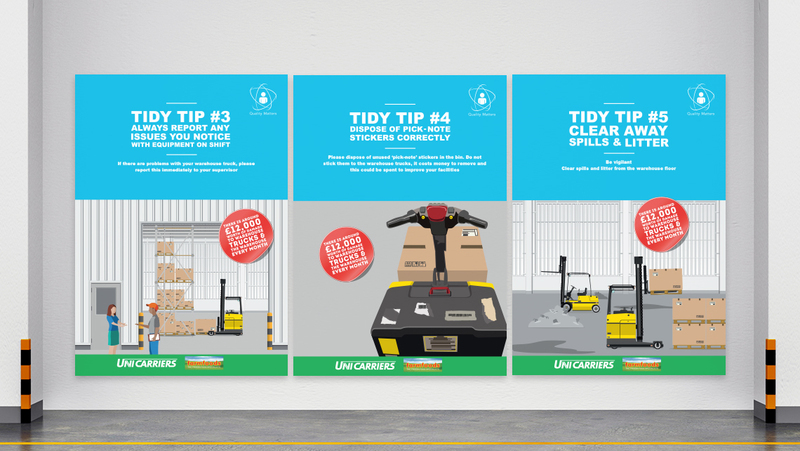 A project designed to promote safe working practice in farmfood warehouses, whilst helping to reduce the cost of repairs. 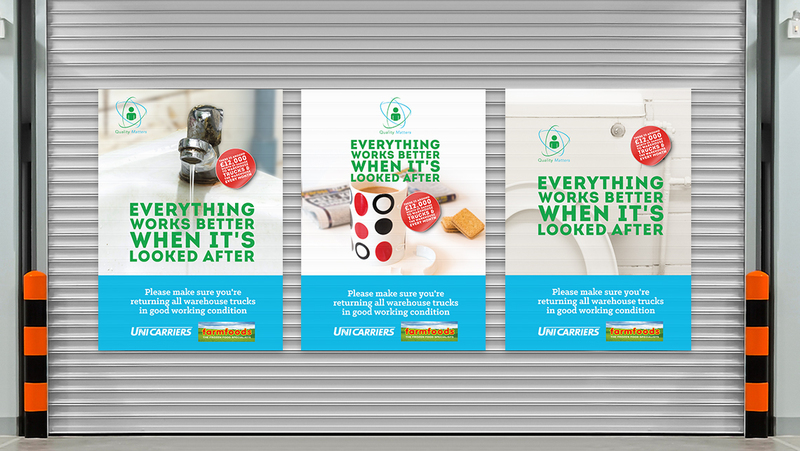 The aim was to show the warehouse staff how their actions affect others that they work with, and what can be done to prevent negative impacts on their working environment. 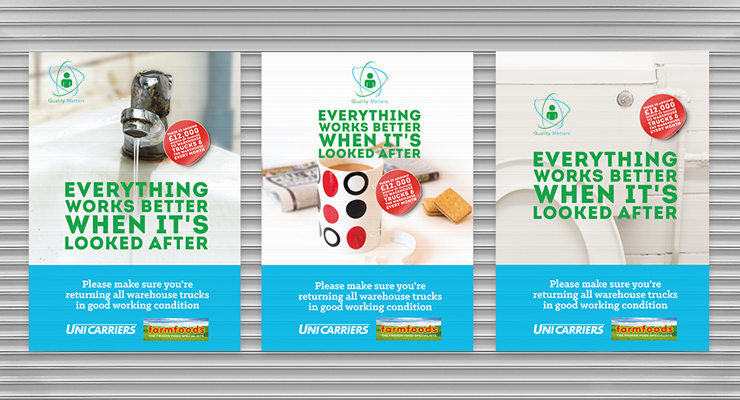 The pride initiative was designed to instill a sense of pride in wharehouse staff at farmfoods wharehouse sites. 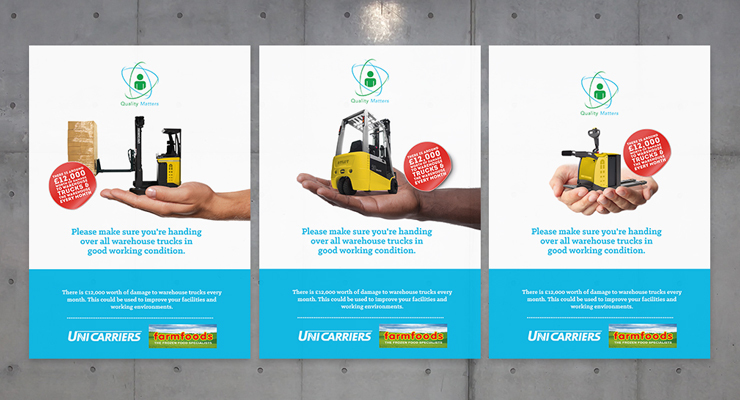 The company were losing a great deal of money in maintenance and repairs of the warehouse and the forklift trucks and needed a creative solution to raise the issue with the employees. 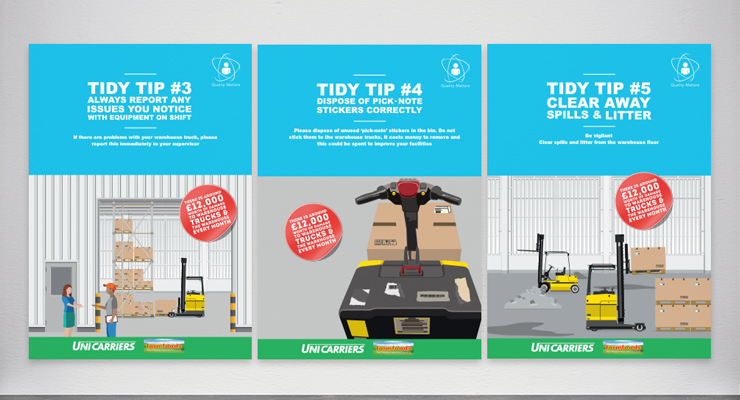 The messaging needed to be clear and obvious, as the warehouse staff come from a variety of backgrounds and english is not always their first language. 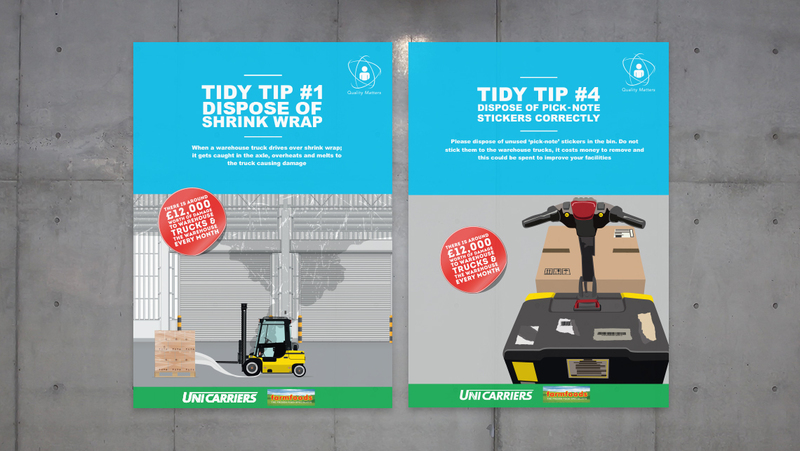 The result was 3 series of posters; the first to draw the link between functionality and upkeep of household products, the second was to remind the staff that they are handing off their equipment to their fellow workmates and therefore should do so with courtesy and the third was to give useful tips for how to keep the warehouse safe and clean. 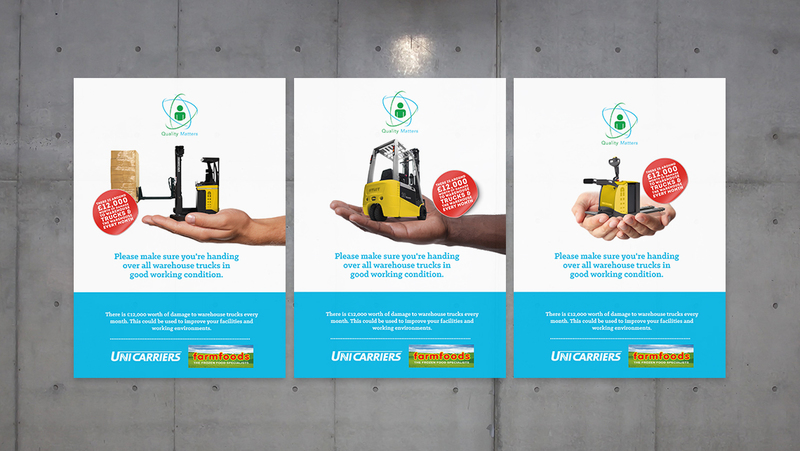 These were to be placed around the warehouse in relevant areas.